The first seminar for the second class of VALOR fellows took place September 5 -7 at the Inn at Virginia Tech and Skelton Conference Center. After a welcome and introduction to the weekend and lunch, the VALOR fellows received an overview of Virginia’s Agriculture industry from the Virginia Commissioner of Agriculture and Consumer Services followed by an introduction to Virginia Tech’s College of Agriculture and Life Sciences and Virginia Cooperative Extension. Following a short break, VALOR Director, Dr. Megan Seibel, gave an overview to the VALOR program and what could be expected over the next two years. To finish off the first day of Seminar I, fellows learned about social media and blogging from VALOR Program Coordinator, Brad Burbaugh, and Virginia Tech College of Ag and Life Sciences Digital Content Specialist, Brandi Evans. Day two began on campus at Virginia Tech with words from Agriculture, Leadership, and Community Education department head, Dr. Rick Rudd, about leading through change. Afterwards, Burbaugh continued educating our fellows on the basics of Facebook and Twitter. An etiquette lunch was held back at the Inn. Following lunch the fellows participated in Myers Briggs Type Indicator training with Virginia Tech Outreach Program Manager, Stacy Harvey. Dinner was held with the VALOR Advisory Council and Alumni at the home of Dr. Rudd. The first seminar wrapped up Sunday morning following a final information session for the fellows. Seminar two took place in Eastern Virginia on November 13-16, 2014. Class II VALOR Fellows began their second seminar with a tour of Amadas Industries where they met with Ted Williams, the Vice President of Sales and Marketing. Following lunch, Stacey Harvey, a certified trainer with Emotional Intelligence, spoke with the fellows about their test results. Emotional Intelligence is a test the looks at how certain emotional elements play a role in different areas of your life such as decision-making, self-expression, and others. Supper that evening was provided by Lakeland High School Agriculture Department and Agriculture Educator, Ron Daughtry. The morning of the 14th began by traveling to Smithfield Foods where the fellows got a tour of the packing plant and Innovation Space and concluded the tours with a question and answer session with several Smithfield Executives. Lunch for the fellows was coordinated by Smithfield Foods. The fellows then traveled to Commonwealth Cotton Gin where they met with Cotton Agronomist, John Parker. The day concluded at Rogers’ Farm where the fellows participated in an on-farm presentation and activities with farm President Paul Rogers, Jr and James River Equipment Precision Ag Specialist, Matthew Brantley. Supper was held with the Rogers’, the advisory council, and other special guests who were then recognized. Saturday began at Royal Fumigations where Operations Manager Jorge Marrero explained the business. From there the VALOR fellows traveled to Perdue Agribusiness where they learned about the Perdue Agribusiness Deep Water Port and the Virginia Port Authority. Following these presentations, the fellows went to the Eastern Shore of Virginia where they saw Quail Cove Organics and Mid-Atlantic Aquatic Technology, LLC. They had supper at The Island House Restaurant with some special guests. On Sunday, the fellows met at Colonial Farm Credit where they discussed options for their international trip and some of the basics of networking. The fellows then departed for their respective homes. 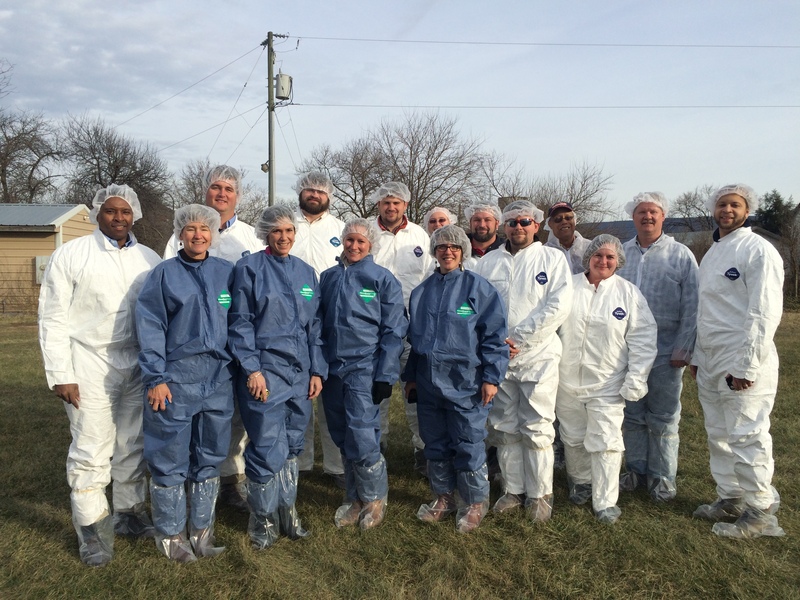 On January 9-12, 2015 the VALOR Fellows traveled to the Shenandoah Valley of Virginia to see how communication is impacting the agriculture industry. Day one began at WVPT in Harrisonburg where VALOR fellows learned about TV interview basics and then were given a chance to put those skills to into practice. 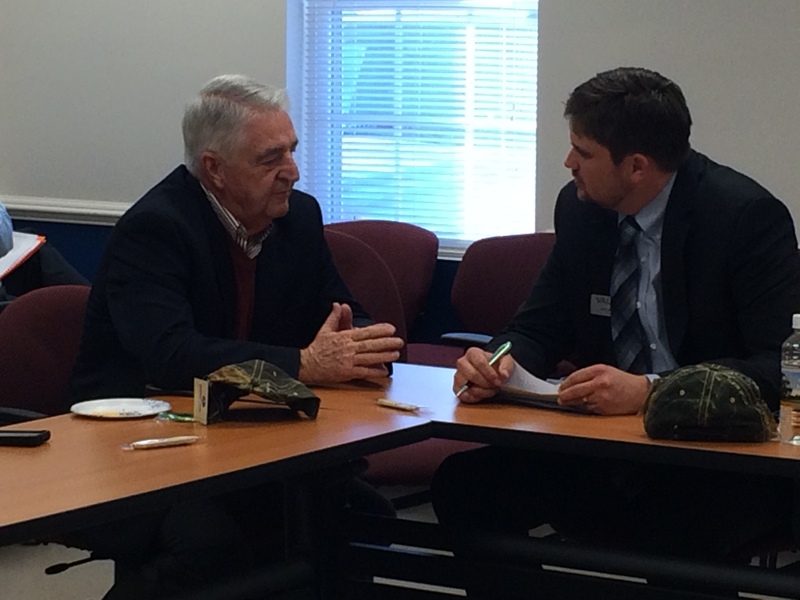 From WVPT, the group traveled to Farm Credit where they were joined by different Virginia Agriculture leaders. The fellows had a chance to interact one on one with these leaders by interviewing them and then presenting the information they learned to the group. 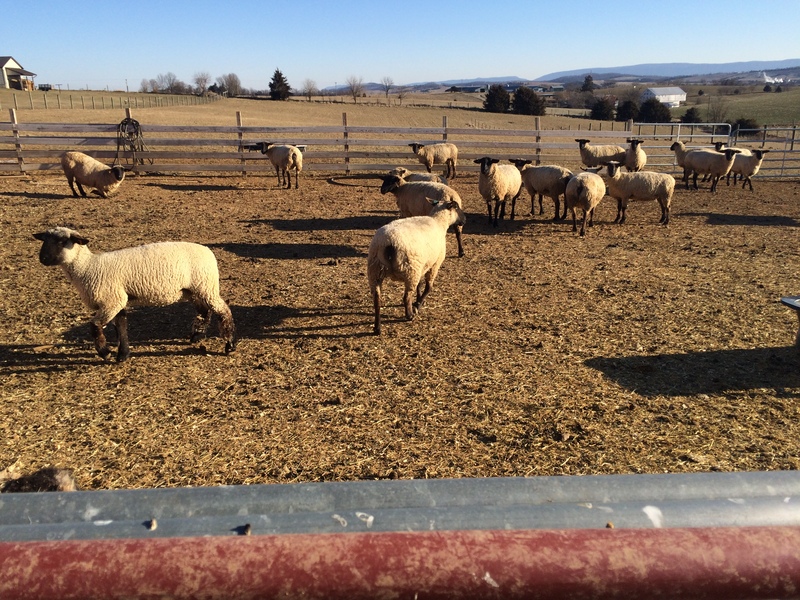 Day two began at H&K Hilltop Farm in Linville, Virginia where the fellows learned more about the sheep industry. They then traveled to Shreckhise Nurseries located in Grottoes. After lunch at the Weyers Cave Fire Department the group visited Cave View Dairy where owner Gerald Garber explained his business. The day ended with a TEDtalk and an Environmental issues Panel that consisted of Gary Flory from the Department of Environmental Quality, Pat Michaels with CATO Institute, and Dennis Avery with Hudson Institute. Sunday morning began at Houff Feed & Fertilizer where several VALOR Class I fellows came back to discuss issues in our industry. Andrew Smith, Matt Hickey, Ian Heatwole, Ken Ryan, and Dana Fisher were all present to participate on the panel. Following the panel discussion Kern Houff, Neil Houff, and Tim Grove gave VALOR fellows the background of Houff Feed & Fertilizer. From there the group traveled to Virginia Poultry Growers Cooperative in Hinton. The last tour of the day was with Rivermont Farms in Timberville. 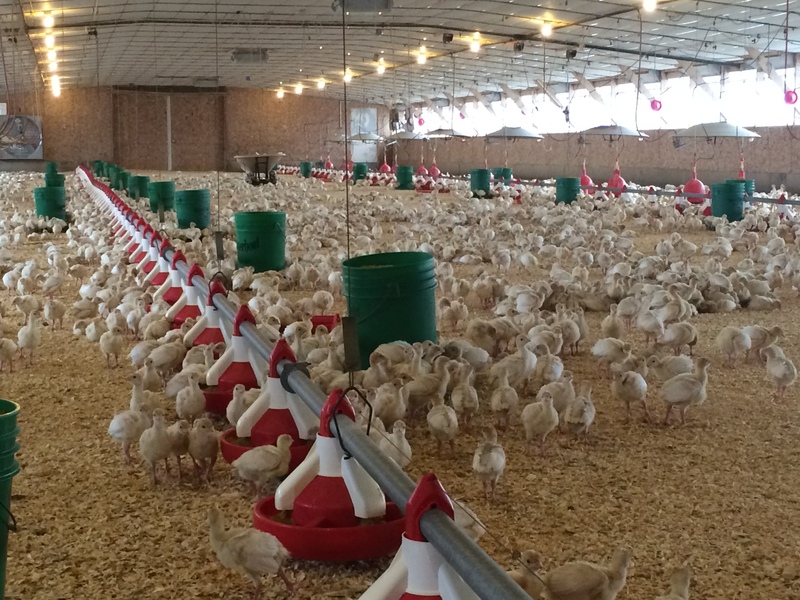 The final day was spent at the Rockingham County Fairgrounds learning about the history of the poultry industry and the Virginia Cooperative Extension’s Beginning Farmer and Rancher Coalition. The fourth seminar for Class II was set in the state’s capitol where fellows learned about lobbying and interacted with their legislators, the Secretary of Agriculture, and the First Lady. The seminar started off with Class I VALOR fellow, Andrew Smith, and Virginia Farm Bureau to learn about lobbying and video interview strategies. The day ended with a TEDTalk by Nancy Duarte and dinner at the Cheesecake Factory. Day two began with a meeting with the First Lady, Dorothy McAuliffe, the Secretary of Agriculture and Forestry, Todd Haymore, Deputy Secretary, Sam Towell, and Assistant Secretary, Carrie Chenery. Following that great session was a TEDTalk by Simon Sinek. The afternoon was filled with the legislator meetings. First, the fellows attended the Senate Agriculture, Conservation, and Natural Resources committee meeting. Following that meeting, the fellows sat in on the House Agriculture, Chesapeake, and Natural Resources-Chesapeake subcommittee meeting. The next day the fellows took a tour of the Governor’s mansion and then arrived at the House Chamber Gallery where Delegate Bobby Orrock was recognized for his service to agriculture. Following lunch the fellows explored the capitol and scheduled meeting with their delegates and senators. The fellows ended the day with a tour of the capitol. The morning of day four began at USDA Rural Development where the fellows learned about commodity issues, marketing, and production. Then the fellows had Crucial Conversations Training and program updates before heading home. When you think of Northern Virginia, agriculture and farmland are most likely not the first thing to come to mind. In the most recent VALOR seminar, May 11-15, 2015, the fellows learned of agriculture’s presence in NoVa and even in the heart of Washington, D.C. as they traveled by car, metro, and foot to dig deeper into agriculture in and surrounding the nation’s capital. 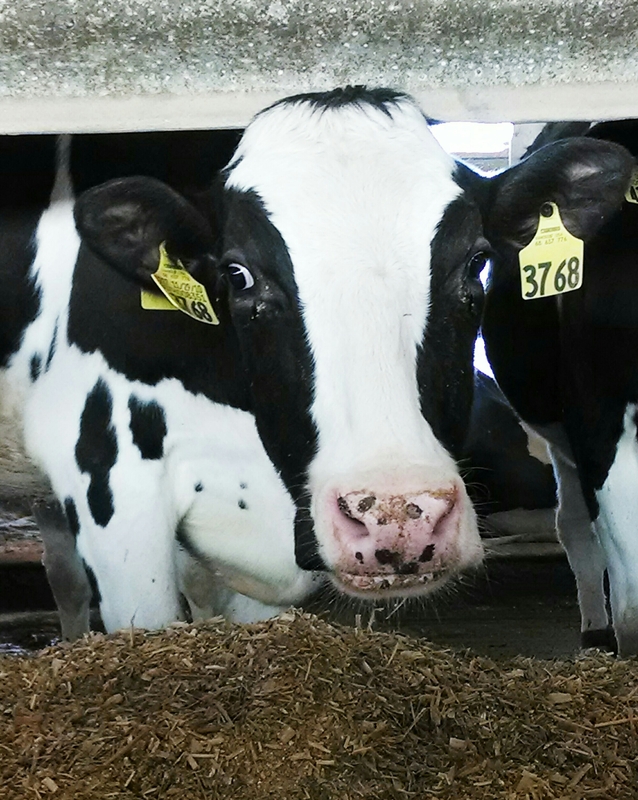 A family farm, WiFi, a renegade health initiative, and a high school biotechnology lab. For VALOR fellows this July, these are some of strategies that illustrate the creative — sometimes daring — leadership in sustainable economic development in southwestern Virginia. 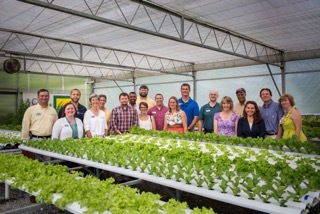 At Carroll County’s Southwest Farmers’ Market, innovative leadership decisions in the shape of a re-purposed shipping container supports small farmers. Five years ago, unable to cool their perishable corn crop, local sweet-corn farmers could not compete in the market. The county stepped in to build a hydrocooler – a $1 million contraption they built out of a shipping container and air-conditioning duct work for a much lower cost, then the county opened it up for a small fee letting farmers quick-cool their crops, lengthening the corn’s shelf life from three days to two weeks and opening the more lucrative, regional market to Carroll County farmers. Following the day in Carroll County, VALOR traveled to Wise County, famed for its rugged beauty, its craft tradition, coal heritage, and deep Appalachian poverty. Now, post-coal, far Southwest Virginia scrambles to diversify, redefine its allegiances, and bolster its economies, but the renaissance it seeks needs steady, coalition-building leadership to envision and fulfill its potential. The VALOR visit coincided with the annual Remote Area Medical event. RAM events both inspire and dismay. In the sheds and barns of the Wise County Fairgrounds, hundreds of teeth were being extracted and filled, fingers pricked for diabetes screenings, lines of women climbed into the mammogram van, and new glasses made for children and grown-ups who are unable to afford insurance. The Wise County Fairgrounds were swarmed with health workers and volunteers providing on-site care to more than 1500 people over three days, a demonstration of pragmatic leadership linking people who need basic healthcare with people who give it. The Northern Neck of Virginia offers a distinct view of the commonwealth, a region unlike any other with its rural life, “rivah” sauce, national history, and all things seafood. The VALOR program does many things well, but in particular the culture immersion that comes with each regional session is truly the icing on the cake. The Northern Neck region was no exception as the fellows went beyond simple pleasantries and truly dove into intricacies the region had to offer. The peninsula where the Potomac and Rappahannock Rivers meet the Chesapeake Bay is referred to as the Northern Neck. Located in the northeast portion of the state, it is flanked by Virginia, Maryland, and the Chesapeake Bay, and is easily accessible by scenic roads from the mid-atlantic metropolitan areas. The Northern Neck website invites visitors to “experience the road less traveled,” and does an excellent job promoting facets of the region that make it stand out for many, including outdoor adventures, fresh Virginia seafood, agriculture experiences, and historical significance. VALOR Class II expanded its horizons with a six-day November trip to Florida, their eighth of 12 seminars. And while there is no doubt about the diversity of agriculture in our own commonwealth, seeing a small slice of Florida’s agricultural diversity was eye-opening. Comparing the two states further reveals some major differences. Florida represents nearly 66,000 square miles of land and nearly 20 million residents, while Virginia has roughly 43,000 square miles and just over 8 million people. This difference in size was illustrated often during the seminar. Another difference? Florida’s commissioner of agriculture is elected, while both Virginia’s commissioner and secretary of agriculture are appointed by the governor. 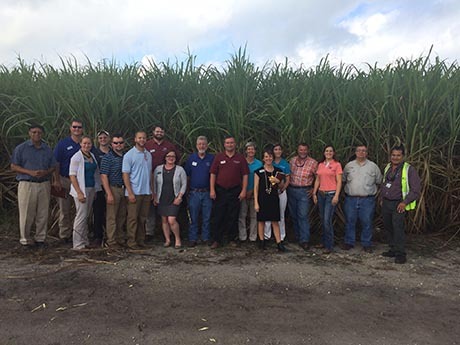 Focusing on the large central interior of Florida’s peninsula, the group toured 11 different locations and met with 22 agriculture and natural resource leaders, including members of Florida’s adult agriculture education group, the Wedgeworth Leadership Institute. Our group, traveling together in a large passenger van (complete with tricky locks), had many opportunities for team building and deepening our class bonds. Agriculture today is both local and global. This past winter, all across Virginia, twelve VALOR fellows – beef farmers, a row-cropper, entrepreneurs, bankers, local food advocates, and a dairy herdsperson – kissed their families goodbye, closed the gates, and checked barns and email one last time. Headlights swung into the quiet Piedmont lanes, ran along flat Coastal Plain roads, heading to Dulles, and on to Vietnam. Chosen for its dynamic economy and booming export-driven industries, Vietnam framed and helped fellows exercise many agriculture leadership roles for VALOR’s second class. From civic engagement in orphanages to the cultural intelligence of removing shoes and enjoying dishes prepared by welcoming hosts, the fellows had the opportunity to show their respect for low- and high-tech approaches in an economy-balancing and agricultural tradition in a global world. While sharing a meal, I never miss an opportunity to remind all who are gathered that every bite they enjoy, with only a very few exceptions, started out on a farm somewhere. If it weren’t for farmers and agriculture, we would all be hungry, thirsty, and naked. H ow lucky are we that Virginia agriculture does it all. It’s clear that thecounties of Central Virginia are doing their share to fill our needs and wants for food and drink with business acumen and leadership. Southside Virginia is defined by its landscape and history. The belly of the state, a nugget of 13 counties lying along the North Carolina line. East of the Blue Ridge, west of the Coastal Plain, and south of the James – thus, Southside – it’s neither mountain nor sea. Even its climate is said to be unique. Settled by the second sons of landed gentry – out to make their names and fortunes in tobacco, textiles, and natural resources. Through economic prosperity and decline, the land and its culture has written it’s own story. Today struggling industries are reinventing themselves, counties are coming together to help each other do it. 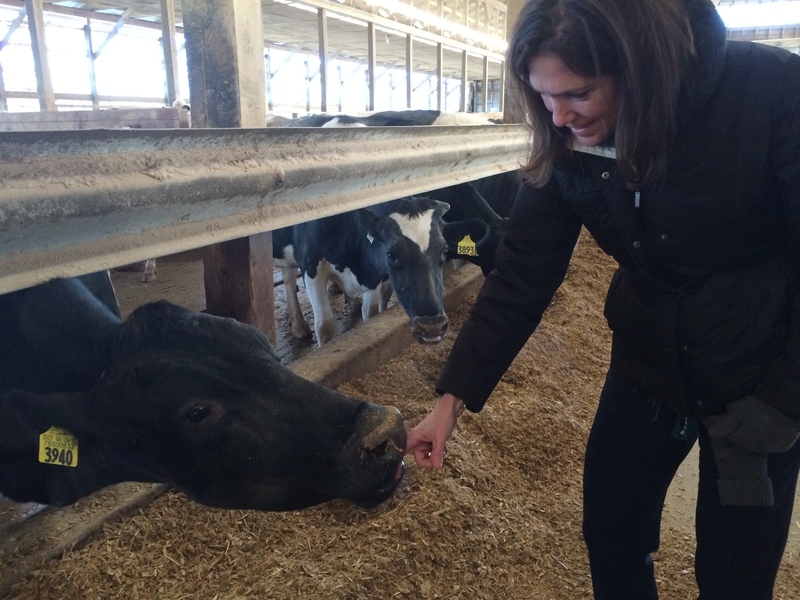 Agricultural innovation is addressing labor shortage and waste problems. VALOR is there this weekend to see how it’s done.